It’s a nice little ground floor flat with its own courtyard. The location is really convenient for UWA, Subi, the city, QEII medical centre and the area surrounding is lovely with Kings Park and the river close by. The street is a lovely, quiet and leafy cul de sac. The only other “flatmate” than myself is my cat Maude- she’s pretty cute! Internet and smartTV is included. There is air conditioning in the main living room and a ceiling fan in the bedrooms. Close proximity to Kings Park, Children's hospital, buses straight to CBD, Subiaco, UWA and Claremont running past the front door every 15 minutes. 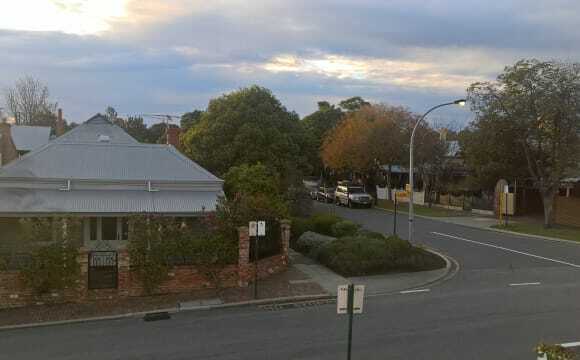 About 10-minute walk from Shenton Park train station, and right around the corner from Shenton Park 24hr IGA. Looking for a house mate to share my house/unit with. In Shenton Park. In the corner of Derby Rd and Onslow Rd. 1min walk to 24, 25, 97 bus stop and shopping center with heaps of cafes. 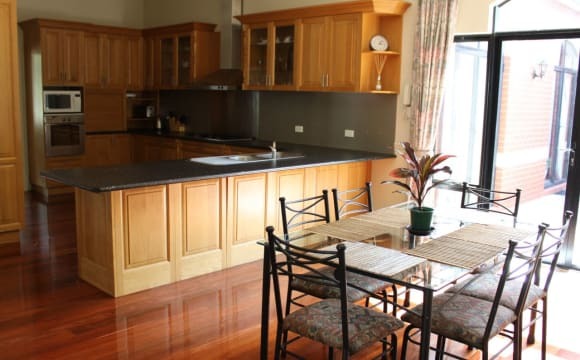 20min walk to UWA, 5min walk to Sir Charles Gardener Hospital and Hollywood Private Hospital. 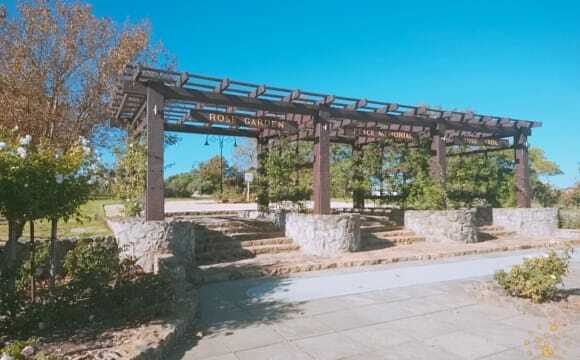 10min walk to Kings Park. I prefer international students or backpacker. We will share living room kitchen and bathroom. The room furnished with bed, wardrobe and table. Very quiet ground floor unit with a swimming pool. You will not be disappointed. 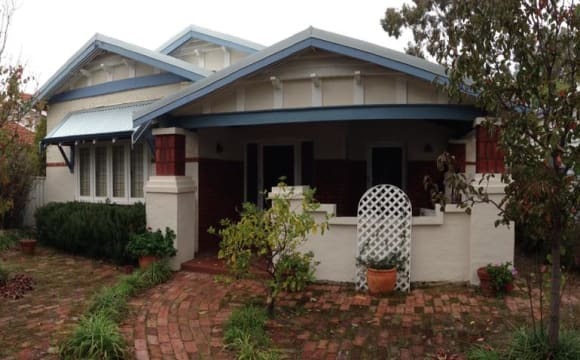 Large room (4x6m) available in a bright, character four bedroom share house in Subiaco. $220 for room with carport space + bills (~$50/mth). Room is currently unfurnished (most of furniture shown will be gone) but can be furnished if needed. The common areas are fully furnished. The bathroom is shared with one other person. 10min walk to Daglish Station and 2 min to buses into the city (24/25/27). Excellent spot for UWA students or medical professionals - walking distance to King Edwards, Charles Gardiner and Perth Children's. We've got really great neighbours who we have dinners with now and then. In my comfortable and quiet home, there is currently one fully furnished queen sized bedroom available and of which I believe, would be very suitable and ideal for you ! My home has a conservative and immaculate ambience and style. Contemporary and cosy; architecturally designed, built and located in Nedlands (a “home away from home” – peaceful and tranquil). 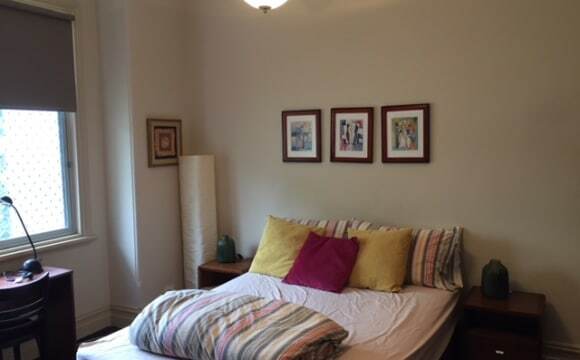 The above-mentioned bedroom is currently available at $280 per week. More comprehensive details, photos and my contact details are in the advert on a website - the URL web address is below. Please just click below which connect you. Kind regards Lucy 😊 [* * * my shared accommodation is especially suitable for professional people studying and/or employed at UWA, QEII; Harry Perkins Research Centre; Hollywood Private Hospital and other Medical Centres! ] -------------------------------------------------------------------------------------------------- ADDITIONAL INFORMATION .................. Rent is paid calendar monthly plus bond + shared utility bills (pro-rata). 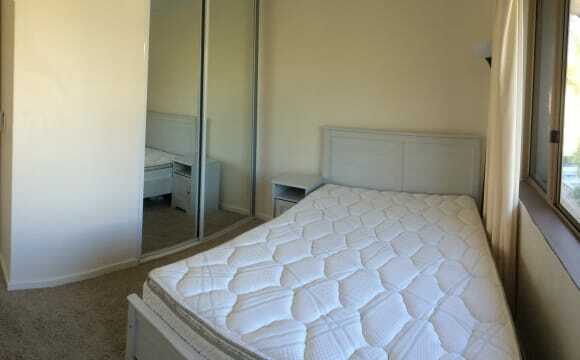 This bedroom has large mirrored built in robes, wide screen TV/DVD player; heaps of chest of drawers/storage and more! **plus separate zoned air conditioning !) The bedroom location: 2nd floor - shared bathroom* * - ( * toilet is separate and next door -- NOT in the bathroom) [* * * PLEASE NOTE : there is a separate bathroom/shower on the ground floor, should the 2nd floor bathroom/shower/toilet [upstairs], be occupied.] BROADBAND : [connected to NBN! **] - W I F I with UNLIMITED DOWNLOAD BROADBAND - * * Fee: $10 per person, per calendar month**. • long term housemates preferred [ - 6 months minimum, [* although, happy to negotiate for shorter term at a higher weekly rent **]. 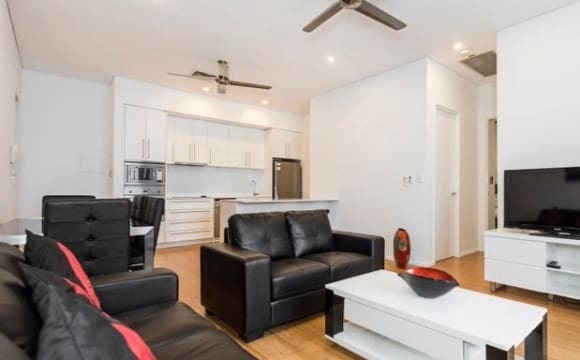 • Shared Accommodation would ideally suit : Professionals / FIFO / overseas travellers (semi / permanent on visas), students studying at University of WA (or other WA Universities). ( * *will consider/discuss with COUPLES at a higher rental per week* ). Location only 5 minutes from : Sir Charles Gairdner Hospital (SCGH) , Medical Research Centres; Hollywood Private Hospital, Perth Children's Hospital , QEII Hospital. Nedlands is a convenient, peaceful lifestyle, a residential area the following easily accessible: ** CLOSE TO BUSES &amp; TRAIN PUBLIC TRANSPORTATION ! ** 1 km Train Station 1.3 kms to Hampden Rd Shops and Cafes 2.1 kms to University of WA 2.5 kms to Matilda Bay 3.6 kms to Claremont Quarter 4.4 kms to Perth City 5.6 kms to Subiaco 5.6 kms to Cottesloe Beach **All that you need to bring is your personal possessions *, clothing, * toiletries * - food *! A cute pink house in Subi. It has 3 bedrooms, two housemates (myself and my Queenslander housemate) and one sausage dog! The pink house, as it is affectionately known, is Subi heritage listed and likely used to be a shop - with the living space having two beautiful large windows and lots of lovely natural light. One of the lovely features of the house is its wonderful backyard - fig tree, citrus trees and a passionfruit vine included. The house is in a really central spot - train to the city is 15 minutes and only a 5 minute walk to the train station. You can also get the bus to the city which is about 20 minutes. Coles and a lovely private owned grocers down the road - 5 minutes walk. Not far from Kings Park for a walk in the evening. Also 12 minutes drive to Swanbourne beach! The bedroom you would be renting is at the front of the house and it is large - easily fit a king sized bed. 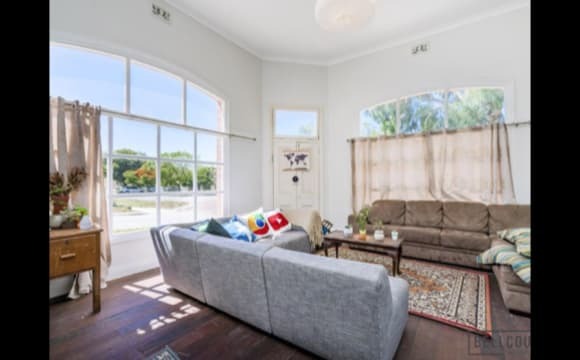 It has a lovely window facing the verandah and has a beautiful old feature fire place. It will be unfurnished. Less than a 10min walk into Subi and choice of 2 trainos + bus stop &amp; parks; is practically across the road from Lord’s sports and gym centre. Quick and easy to the beaches. 10min into city by train. Quiet. Warm, lovable dog to greet you home. Gas cooktop. Aircon downstairs. Ceiling fans up and down. Big deck to chill/entertain/ sun bake on. We’re super inclusive and want you to feel welcome and able to express yourself creatively and make yourself at home, and we hope to live as a community and friends who occasionally all cook together and have cups of tea in the garden. 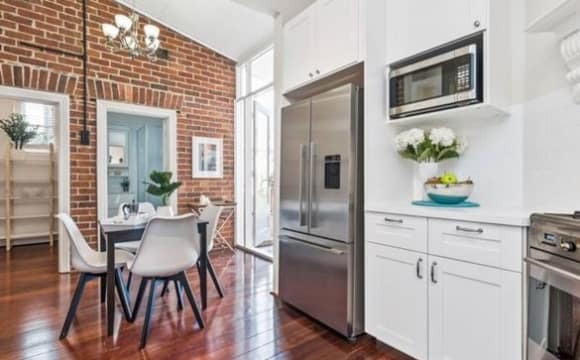 This charming federation style 2 bedroom 2 bathroom house is just off Rokeby road, in a quiet little street with Subiaco Train station and main shops within a 5-10 minute walk. A bus service is 200m down the road with cafes and Kings park all close by. The house is in a totally safe neighbourhood with multi-million dollar houses surrounding this quiet peaceful area with many parks close by. The house and bedrooms comes fully furnished throughout and you would have your own bathroom/toilet. There is a lovely garden area out the back with al fresco dining. Also a laundry area is out in the back yard separate from the house, totally equipped with ironing, washing machine and tumble dryer. Reverse cycle A/c units are in the both the living room and bedrooms. ALL POWER, GAS, WATER BILLS, INCLUDING UNLIMITED WIFI, AND FOXTEL IQ ARE INCLUDED IN THE RENT , this can be a saving of $400/month when doing your budgeting for total costs of renting, this works out around $50/ week per room so it really is $200/week rent when comparing to other rentals (apples with apples) as your bills would then be extra on top normally. No need for utilities set up costs etc. either which costs hundreds of dollars. Also lawns, gardens and yards are done by on site manager who lives out the back in a self contained studio apartment and doesn't use the house. This is a saving of your time or money if you where to do this by yourself. All of this makes a bargain for what you are getting so close to Perth city and in a secure/quiet part of Subiaco boasting former Australian Cricketer and current TV commentator Adam Gilchrist as a Neighbour, say g'day at the local café 200m up the street as he grabs his morning coffee? It's fully furnished with nothing more to pay than the rent 2 weeks in advance and with only 2 weeks rent as the bond to secure your lease. Available now. Message for a viewing Mon - Fri, anytime reasonable morning, day or night. If you need a home away from home in a trendy suburb, that's just a short distance from the CBD, Kings Park, UWA, the major Perth hospitals, river and beaches, we would like to introduce you to Shannon House in the heart of Subiaco. Shannon House has a long tradition of welcoming and looking after people among its walls. In our spacious guesthouse, a multicultural community of people share their lives while studying or working in Perth. We regularly have exchange students, students on internships programs, working holiday makers, professionals, and retirees from all over the world. It is also comfortable for those locals who prefer a relaxed, flexible and worry free life style in a convenient location with no lock-in contracts. Shannon House has a friendly, home-like atmosphere, but is not a party house. The weekly rates include all costs. No bills to pay! The bond is only $170 and only one week notice of departure is required!!! SPECIAL RATES!! We have specials rates if you book a twin room together, or you are a student! 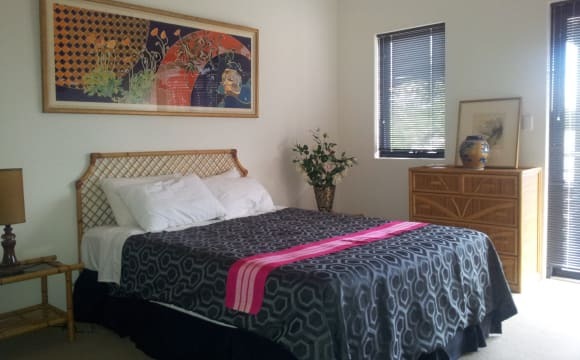 The house is fully furnished and equipped, with bed linen provided and washed free of charge. Air conditioning is available in the whole house. 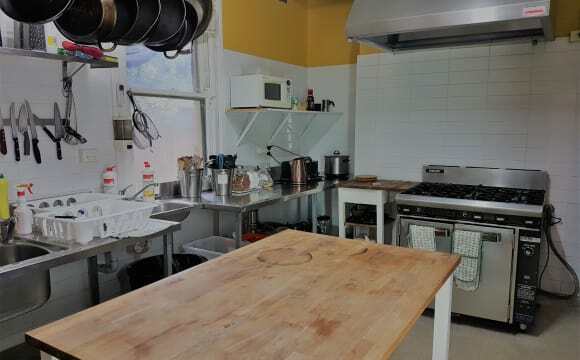 There is a semi commercial kitchen, laundry area, as well as two lounge/TV rooms, a front veranda, and a courtyard with BBQ and pizza oven on the property. A recent addition is the table tennis area. Free Wifi/Foxtel connections and free coffee/tea are available all day. We often have shared meal nights and/or Sunday afternoon meals together. No worries about cleaning as this service is provided every day free of charge. The kitchen is the only area where you need to clean up after yourself. You are welcome to visit the house and meet us! It's easy to get to SHANNON HOUSE from all directions. Subiaco is the third stop on the Fremantle line from the main train station in the city center. Or take bus 24 or 25 from St Georges Terrace in the CBD. From UWA take bus 97. Send us a message or give a ring to arrange a time to stop by! 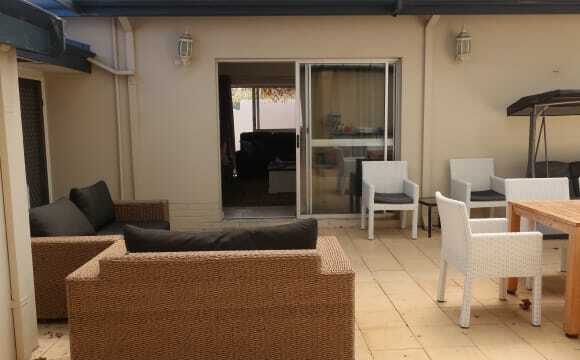 2 story townhouse in great location: Walking distance to Hampden Street, QE2, OHCWA and UWA campus. There also is a bus stop just around the corner which is a 15 minute bus ride into the city. This is a great sharhouse in a great location, walking distance to UWA (5mins) and walking distance to shops and restaurants. The house is air conditioned- each room has separate on/off control. The house is furnished but bedroom is not. Bond $700, bills split between all the people here. We are all neat and tidy full time workers so out most of the day. We enjoy socialising over a few drinks with friends, not really the party type but may have friends over occasionally. We have WiFi, Netflix and Stan available also. Looking for someone who is outgoing and tidy, who will respect the place as we do. 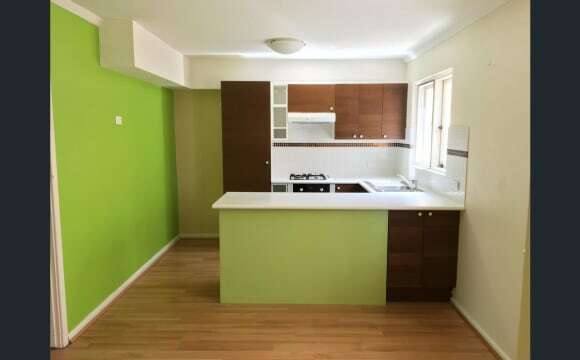 Well located, modern property near UWA, which is suitable for professionals or students. The house was built in 2014 and is air conditioned with good facilities, off-street parking, great natural light and lots of room. The Wifi is excellent and each room has built in storage/wardrobe. The bathrooms and kitchen are clean and modern. 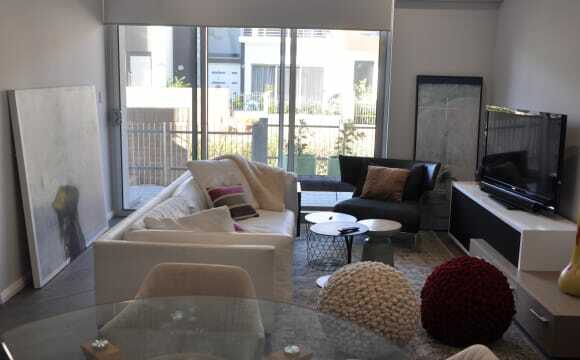 Javelin lane is a funky 3 level townhouse in the heart of Perry lakes, a short drive to City beach. Floreat forum shopping center is a stones throw away, with everything you’d need including gyms, shops and amazing eateries. With loads of cafes down the road and Subiaco close by means you’d have everything at your fingertips, but being surrounded by parkland makes it feel like your a million miles away from the city - your own urban retreat! The house has aircon in each room, BBQ in the courtyard and a fully equipped kitchen and laundry. The top floor alfresco is a great place to hang out and soak in the sun, or have a drink with friends. Come by and check it out!! 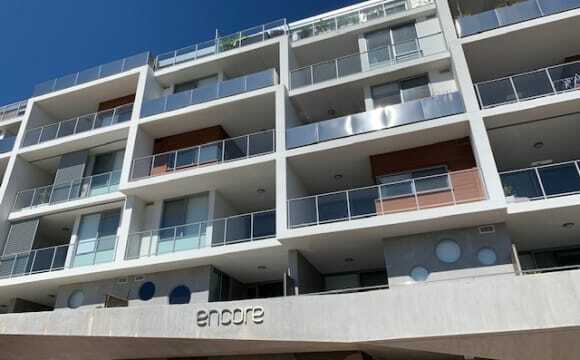 The secure apartment is a two storey terrace style apartment with bedrooms upstairs. Both bedrooms are the same size with their own ensuites. 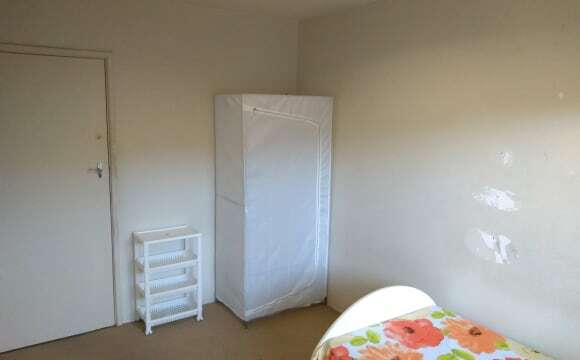 Large queen room available. Has high ceiling and triple mirrored built in robes. There are decent sized living areas and a six seater dining area downstairs. The layout is great for sharing. The apartment looks west with morning sun on the large balcony. The apartment is already fully furnished with outdoor BBQ and all kitchen equipment. There are side by side secure basement car bays and the train station and Rokeby Rd cafe strip is all within a block. There isn't much room for any additional furniture in the common areas but there is a storage unit if required. (The bed shown in the photo will be removed - the bathroom is the semi-ensuite to the room but locked from the hall for your private use). Very nice house in most convenient location. It has central heating and air-conditioning , unlimited internet, located in very convenient location; close to the shopping center, gym and pub, not far from 24 hours IGA, walking distance to UWA and 2 min to the bus stop. It is approximately less than 15 min drive to the city and 20 min to Fremantle. New apartment that is fully furnished (except linen), has a nice kitchen with dishwasher, AC throughout and many additional modern features. Situated in small complex and ideally located in Subiaco, within walking distance to a number of shops and 5 min walk from train station. Second person would have own bedroom, bathroom and on-street parking. 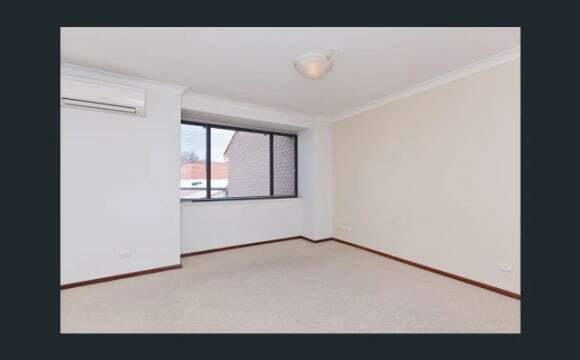 Near new 2 bed apartment in the heart of Subi with everything on your doorstep. Your bedroom is double sized, has large built in mirrored robes and you have your own bathroom. The bedrooms are separated by the living area so perfect for privacy. The living area is open plan which leads onto a huge north facing balcony so plenty of natural light and also a great place to just unwind. Kitchen is fitted with brand new fridge, dishwasher etc .... There is ducted a/c throughout the apartment. Added bonus is off street secure covered parking coupled with excellent security to the complex and a large storage room for all your things. Queen size bed available but welcome to bring your own bed etc if that suits. House is brand new. 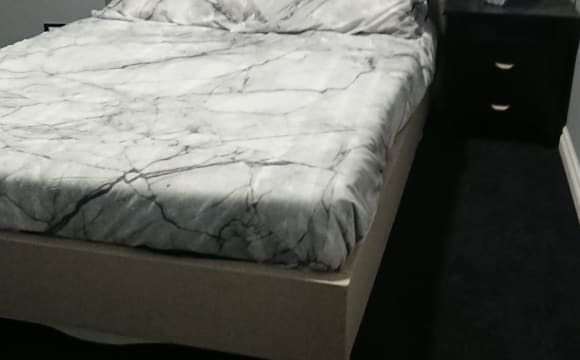 Comes with netflix,free unlimited nbn / wifi and foxtel,views,location,pool,outdoor alfresco with bbq,huge walk in robe, brand new queen bed with mattress, tallboy with drawers, side table, pillows fresh linen, doona, inclusive of all bills with NBN Internet and a home office... quiet place to study etc etc a beautiful home all round. SUBIACO BEAUTIFUL ROOM The house is on Axon Street and is 1 minute to the bus-stop and 5 minutes to the train station. The room has a balcony and a beautiful view. Large built-in cupboard. It would suit a student or working person. Hi! We are looking for new housemates to share our nicely located house just in front of beautiful rose garden :) The house is very close to the city, Claremont shopping centre and bus stops. The life is very easy and convenient here! Please feel free to send us a message! Brother and sister sharing the house, and there is 1 extra room that can be rented out. There is a laundry room, open kitchen, living room with a big T.V, garden and outdoor area. There is also a space to park a car outside. The house is located just opposite of Floreat Forum for any shopping and grocery necessities. Bus route 28 and 81 are located right opposite the house, as well as other bus routes along nearby streets. Everything is included in the rental price (water, gas, electricity, internet), EXCEPT food and groceries.